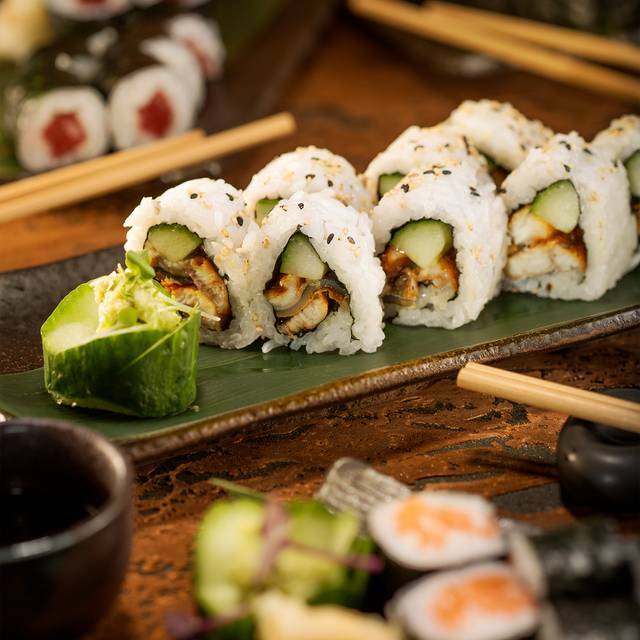 You must make bookings at least 5 minutes in advance of the time at TAKA Mayfair. Restauranteur, Andrey Datsenko and his sister Anastasia, are set to open TAKA Mayfair a new Japanese restaurant and cocktail bar in the heart of Shepherd Market in Mayfair, this September. 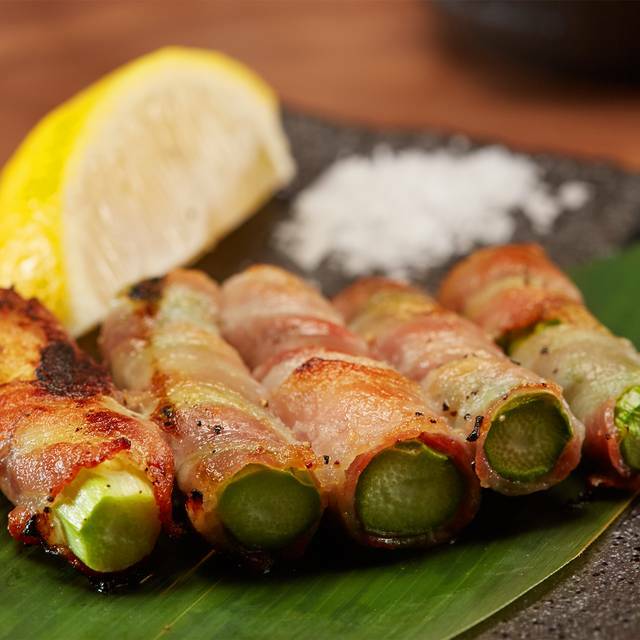 Taking inspiration from their debut restaurant in Tokyo of the same name, TAKA will offer an authentic Japanese dining experience within a contemporary setting. 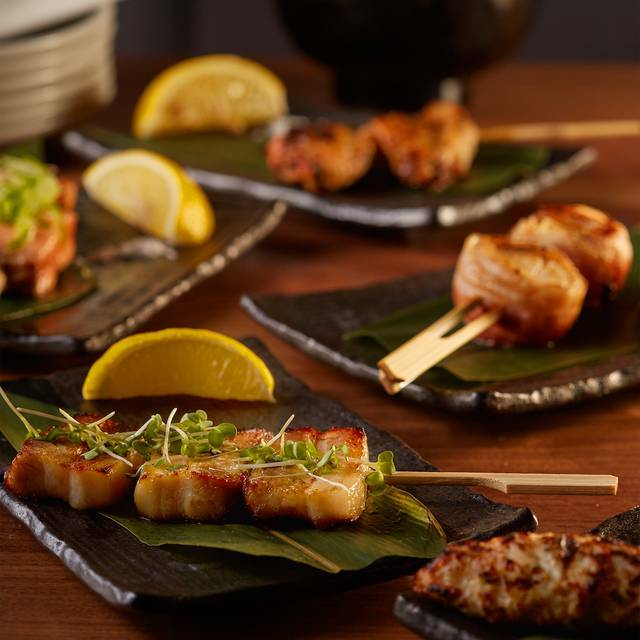 Centered on offering high end Japanese food in a chic location at affordable prices, TAKA will offer a place for a working lunch or social dinner. 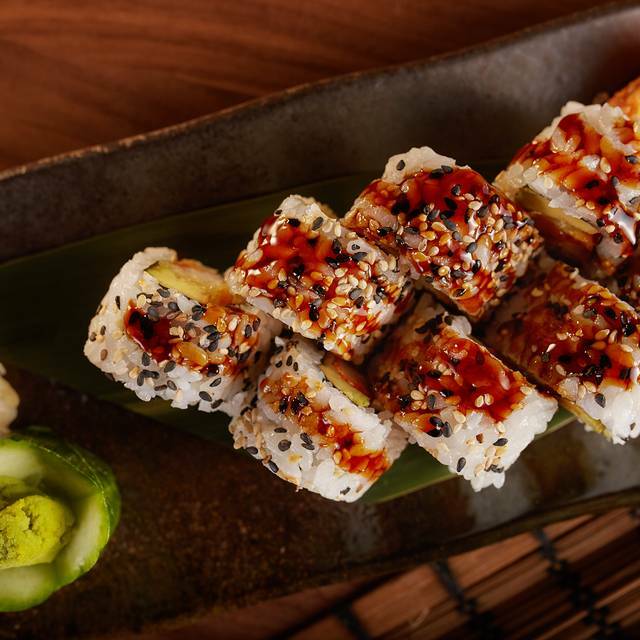 Located in Shepherd Market in Mayfair, TAKA will be located near the likes of Ferdi and Kitty Fishers, offering an alternative to what's already there. Set over two floors the ground floor will be occupied by the restaurant. 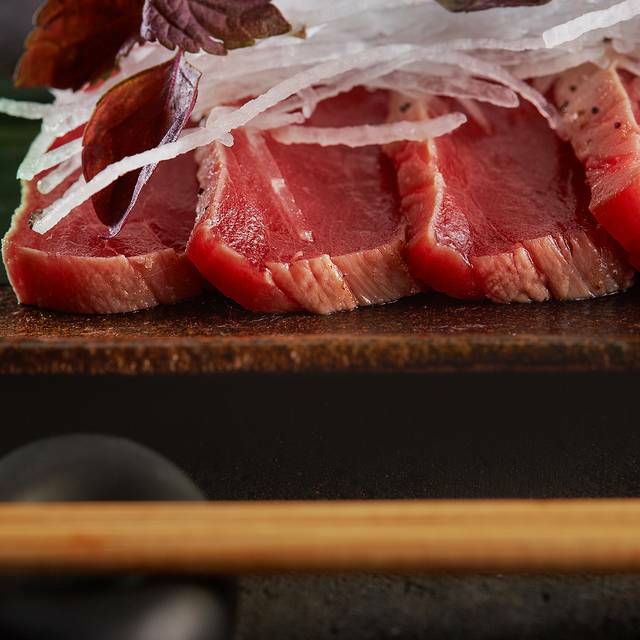 Here the menu includes an extensive selection of Japanese signature dishes from tataki, tempura and salads to sashimi platters, inside out rolls and yaktori, all expertly made authentically thanks to TAKA originating from Tokyo where their chefs have been fully trained. Terms and Conditions: Maximum of 6 diners. Includes Tax, excludes service. 1 hour 30 min turnaround. Include VAT, excludes service. From a set menu. · Steamed edamame beans, served cold with Goma dressing. · Traditional Japanese soup with spring onions, seaweed & tofu. 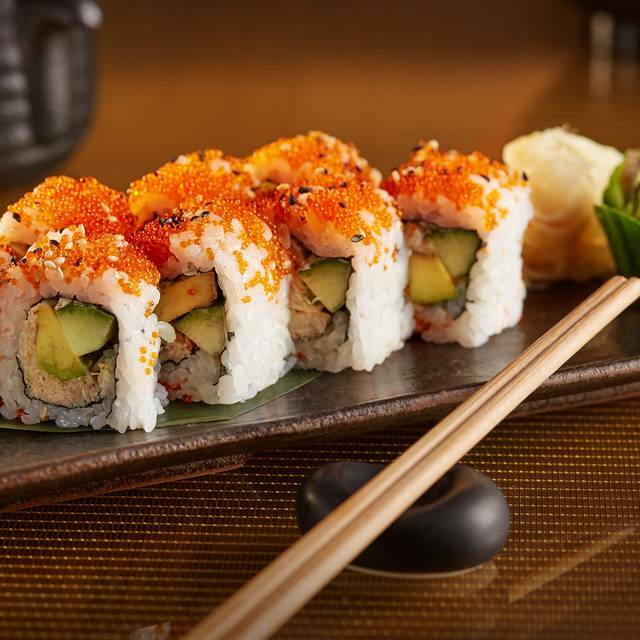 · Seared Scottish Salmon roll with crunchy cucumber, fresh avocado and cream cheese. I took my client for her birthday lunch and we had a great experience. The sashimi was delicious and the black cod outstanding! I will definitely come back very soon. Really modern vibe with yummy/trendy sushi. Great place to catch up with someone or go on a date! Food could be better!! Not what I expected. Maybe I have been to Zuma too often ! Great meal. 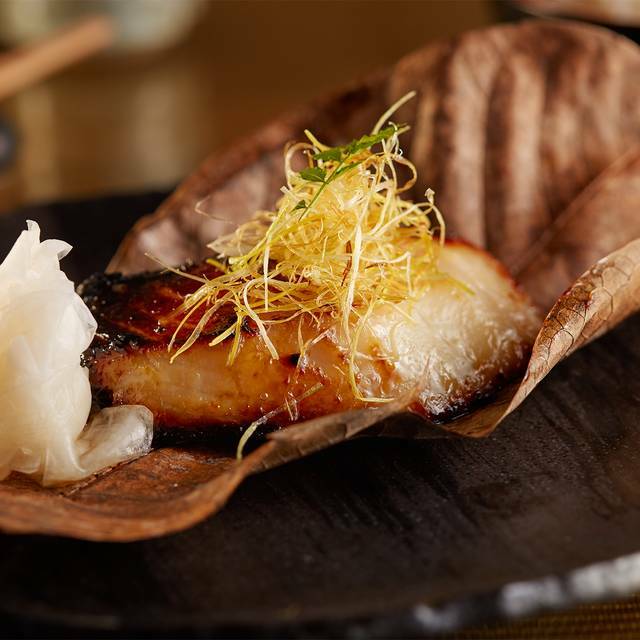 Quality to rival the big names such a Nobu or Roka but far more reasonably priced. Great restaurant. Amazing staff and such a lovely atmosphere. While the portions were small, everything was fresh and well prepared. Service was attentive and friendly and we loved the intimate but not too quiet atmosphere. Lovely venue if a little small. Food is high quality with an excellent range of dishes. Amazing food, tucked away in Shepherds Market. We had the soft shell crab for the first time and it was divine. Another highlight was the california rolls and the miso cod. Can't wait to go back again. They have pure Japanese foods which taste pretty great! We went as a couple. The place is small and intimate. On the whole, the food had a mixture of good and bad points. We ordered a lot of sashimi and sushi, black cod, beef sirloin and fried aubergine. The squid sashimi was very chewy and the octopus quite chewy but the rest (hamachi, Amaebi) was nice. The ikura gunkan, California roll and negi toro were tasty. The black cod was good and didn't need the very sweet miso sauce that came in a side bowl. We asked for the beef to be medium rare and it was perfectly cooked. That was my favourite dish but again came with a very overpoweringly sweet sauce in a bowl which was not needed. The fried aubergine was the biggest disappointment. It came smothered with the super sweet miso sauce and was inedible. The sauce should be less sweet and put in a bowl on the side. For dessert, we had the yuzu creme brulee with lychee sorbet which was very nice. We finished with a pot of ginger and lemon tea. There was not enough ginger in the pot and the tea was hence too weak a taste. We had one small hot sake between us. The bill was £78 per person which was expensive for what it was but it is inline with Mayfair prices. Service was friendly and efficient. Very good quality of food, and the set menu is great value for money. Delicious sushi, super fresh and some of the best food I have had in a while! Sushi were perfect. Lovely staff offered their special tuna tartar. It was just amazing. Highly recommend this place. Will be back soon. Great restaurant, great food, great atmosphere, just great! Great Great Great. We came a bit early for our dinner. We had great drinks at the bar. After we were welcomed to our table. Nice recommendations for food and drinks. We really enjoyed our meal. 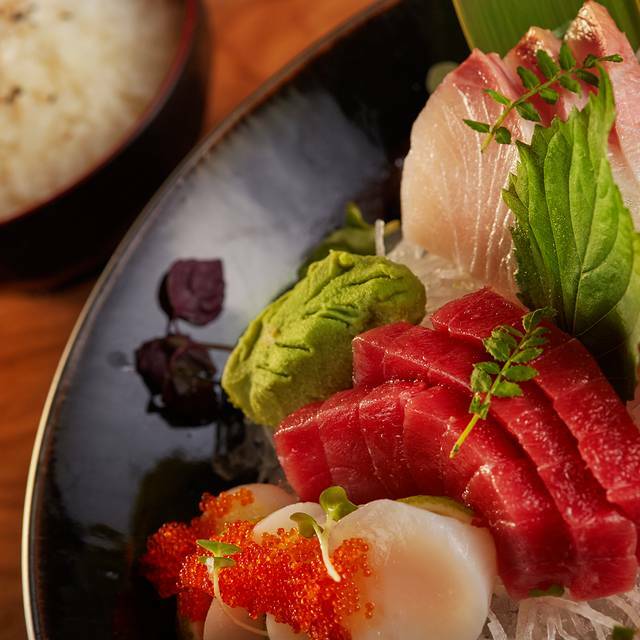 Try their hamachi carpaccio. Taka Roll - must try. Perfect little gem in London. Outstanding service, delicious food and cozy setting. Taka made our date special. All our food were nicely presented. Great selection of sake. In the end of our meal we had amazing dessert with candles and they did us special birthday song. Very good sushi! Incredible experience and service! Food was divine, highly recommend the Black Cod. Slightly expensive but really good food, overwhelming smell of truffle. We had sushi and sahimi selection. Everything were executed perfectly. Very nice and helpful staff. Lovely dessert. Highly recommend. We had an amazing dinner. Service were brilliant. It was really busy night, but everything went well. All dishes came on time. Lovely staff suggested the best choices. Will definitely be back. Highly recommend. Had a good business lunch in Taka with the set menu which was reasonable value. Unfortunately the vegetarian version was rather uninspired with a plate of steamed broccoli provided when the meat-eaters got beautiful little skewers of tastiness. Luckily the accompanying sauce was delish. 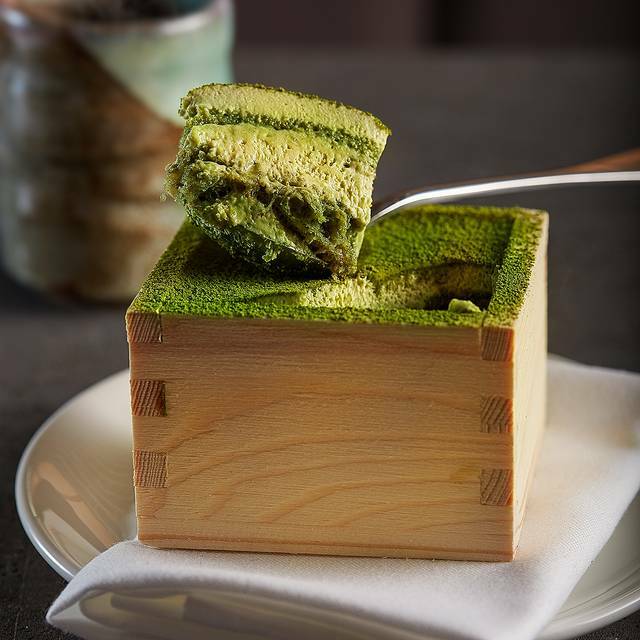 Still not sure what I think of the Matcha tiramasu though. Excellent friendly but non-intrusive service. Very intimate dining experience, best for a date night as a couple. We had a birthday celebration. We had special song for this occasion. Well done Taka. We had a lovely Birthday lunch at TAKA. The food was fantastic along with the service, it is a little pricey (well we had a lot of food and drink) but we knew that before going and it was for a special occasion not something that we would do every day. We were even given a delicious desert on the house with a candle in for my friends Birthday. They made a real effort. We will be back to be spoilt soon. Thank you.